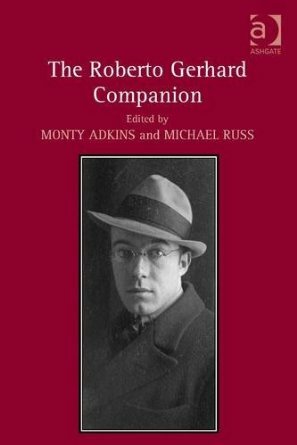 "Roberto Gerhard's BBC Sound Compositions" is the title of my contribution to The Roberto Gerhard Companion (Ashgate, 2013). This chapter examines the relationship between the British electroacoustic music pioneer Roberto Gerhard and the BBC. It is a primer on Gerhard's evolution as a composer of electroacoustic music based on an exhaustive survey of primary sources including the BBC's internal documentation, as well as the composer's private correspondence and magnetic tape collection. Sound compositions such as A Leak in the Universe (1955), Asylum Diary (1958), Lament for the Death of a Bullfighter (1959), and Symphony No. 3 "Collages" (1960) are examined. The final section of the chapter is devoted to the analysis of Gerhard's technique of "sound composition" drawing on the study of the composer's magnetic tape sketches. The Gerhard Companion is available from Ashgate as both hardcover and e-book.